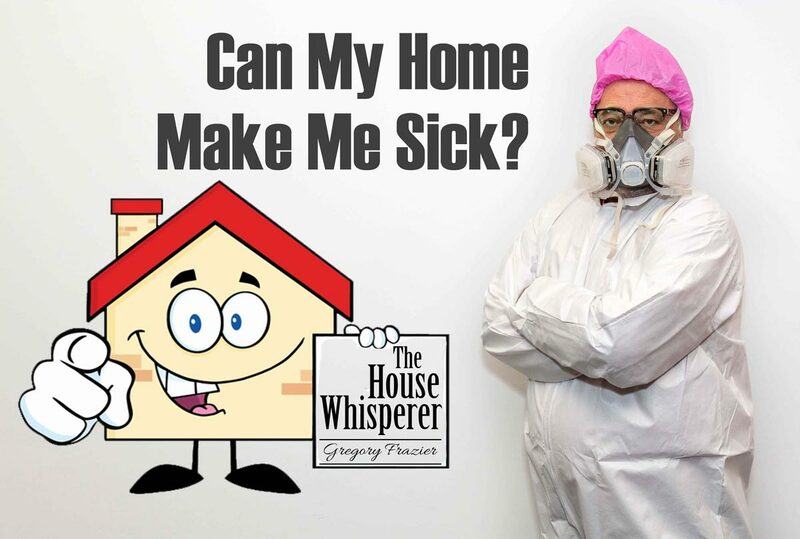 Home » Plumbing, AC & Electric Tips » The House Whisperer » Can My Home Make Me Sick? Can My Home Make Me Sick? Well, I could just end the post right here and say yes, your home can make you sick, however what fun would that be? In this article, I want to look at some of the things in your home that can cause health problems depending on your physical condition. First of all I am not a doctor so this article is in no way meant to diagnose any health problems only to point out some things in the typical home that can aggravate breathing issues, allergies and worsen other health problems. Let’s begin with the big one of dust. What is dust when you think about? What is dust really made of? Well I did a little digging and dust can contain microscopic bugs, skin dander, mites, pollen, pet hair, insect poop, burnt meteorite particles and likely hundreds of other things. So what besides cleaning can we do to minimize dust in our homes? I would say the big three are good windows, making sure your ducts are properly sealed and of course changing the air conditioner’s filter regularly. Windows I can’t help you with, as a matter of fact, I think windows are a pane. Sealing ducts we can certainly do and I can always recommend a great filter. Scroll back thru my blog posts and you’ll find many different articles about the aforementioned subjects. Dust can of course make you stuffy, give you a runny nose and can even aggravate your throat. What’s next? Everybody’s favorite “M-word”…mold. There are hundreds of types and varieties of biological growth or mold out in this great big world and the reaction to it varies person to person. I personally have an allergy to one called stachybotrys. If I enter a structure that is infested with stachy within minutes I will have an almost blinding headache. I go back out into fresh air and the headache clears in just a few minutes. What can get tricky is determining if you have a mold problem in the home. I strongly suggest you bring in the pros if you have any visible signs of mold, have had water damage that was not dried properly or at your doctor’s recommendation if he or she thinks whatever issue you are having could have something to do with mold. The only way to know if it’s a mold problem for sure is through lab testing. Air and tape samples are taken in the suspect area or areas, placed in sterile containers and sent off to men in white jackets who stare into microscopes all day. They are the only ones that can tell you what is happening in the effected structure. Beware the guy that comes in and looks at a dark spot on the wall or ceiling and says lets rip it out cause that’s mold. In the words of a mentor of mine “If you don’t test, you guess”, and that is very much the case with mold. Final mold note, the same guy that doesn’t want to test is the same guy that will not know how to remediate the situation properly. If done incorrectly a mold remediation can actually make the problem worse. There are many other things around the home that can cause health issues, VOC’s coming off furniture (volatile organic compounds or VOC’s are organic chemicals that have a high vapor pressure at ordinary room temperature), regular household chemicals, pesticides; you name almost anything it can likely make you or someone sick so always use caution around household products. On that same note, please stop putting chemicals in the air conditioning closet of your home, please. If any of those liquid chemicals were to leak in the space where the air conditioner is on and running I’d say you are going to have a very bad day when it comes to breathing, right up to the point you might even stop. Okay rant over. If you suspect a health issue is being made worse by something in your home, bring in the big guns and turn your home back into a healthy castle. Until next time friends, as I put the finishing touches on today’s journey I suddenly have come to the conclusion that maybe Kansas was right back in 1977… all we are is dust in the wind. To Vent or Not To Vent? That is the question.